Warner Bros. has just released the trailers for the romantic comedy “Crazy, Stupid, Love.” and the family adventure “Dolphin Tale”. “Crazy, Stupid, Love.” stars Steve Carell, Ryan Gosling, Julianne Moore, Emma Stone and singer Josh Groban. At forty-something, straight-laced Cal Weaver (Steve Carell) is living the dream — a good job, nice house, great kids and marriage to his high school sweetheart. But when Cal learns that his wife (Julianne Moore) has cheated on him and wants a divorce, his life quickly changes. “Dolphin Tale” is inspired by the remarkable true story of a courageous dolphin named Winter and the compassionate people who banded together to save her life. Starring Harry Connick Jr., Morgan Freeman and Ashley Judd. Catch the trailers of both films after the jump. 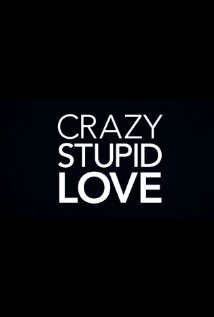 “Crazy, Stupid, Love.” will open across the Philippines in August while “Dolphin Tale” arrives in October.